I sponsored this new Iseum in Sydney which I am so pleased about as the facilitator is active in the community and walks the talk of a genuine priestess! Crystals pick up and take on negative energies through emotions, thoughts and physical interaction from their owners, their environment and also from others who handle them. Therefore its prudent that crystals be cleansed periodically to clear these toxic energies and be recharged. 1. Immersing them in salt water for 24 hours under the *sun or moon light or by wiping them with a damp cloth soaked in salt water. 2. Immersing them in a bowl of brown rice for 3 days on an altar or in the NW corner of a room, home or business. 3. Immersing them in a bowl of purified water with fresh flower petals such as marigolds, sage blossoms, sun flowers, iris, honeysuckle, daisies, roses, rosemary blossoms, lemon blossoms, carnations, cherry blossoms and apple blossoms. 3. Smudge using herbs such as lavender, sage, cedar and bay. 4. Crystal programming (aka thought projection). This is the most difficult and requires focused concentration and experience in meditation and working with crystal energies. 5. 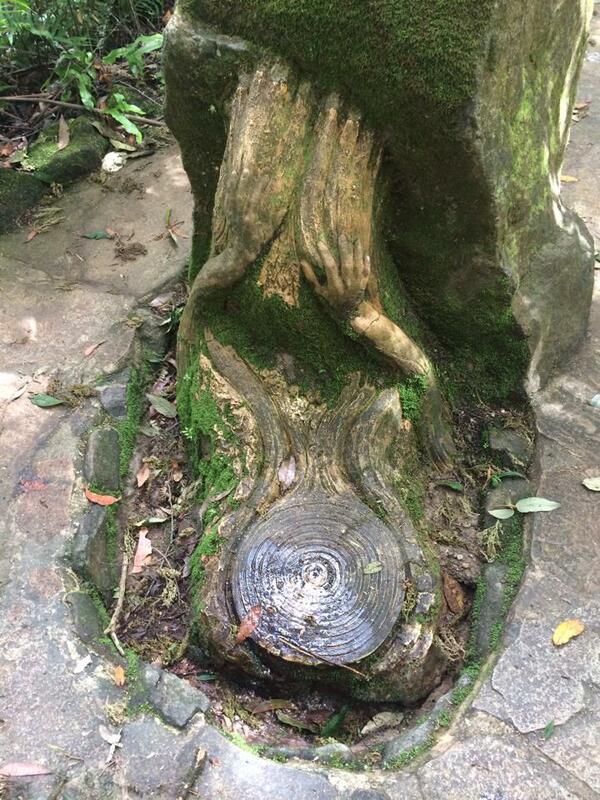 Reiki/Sekhem/Seichim which utilities specific symbols channeled through the breath and hands. 6. By burying in the earth (garden, pot plant, sand) for 24 hours. 7. By sound intoning using crystal bowls, chanting, Tibetan singing bowls, sistras, bellydance symbals, bells, tuning forks and singing. 8. By placing them on or within a clear quartz or amethyst quartz: cluster, slab or cave. You can also place a smokey quartz single terminator crystal on top of them. 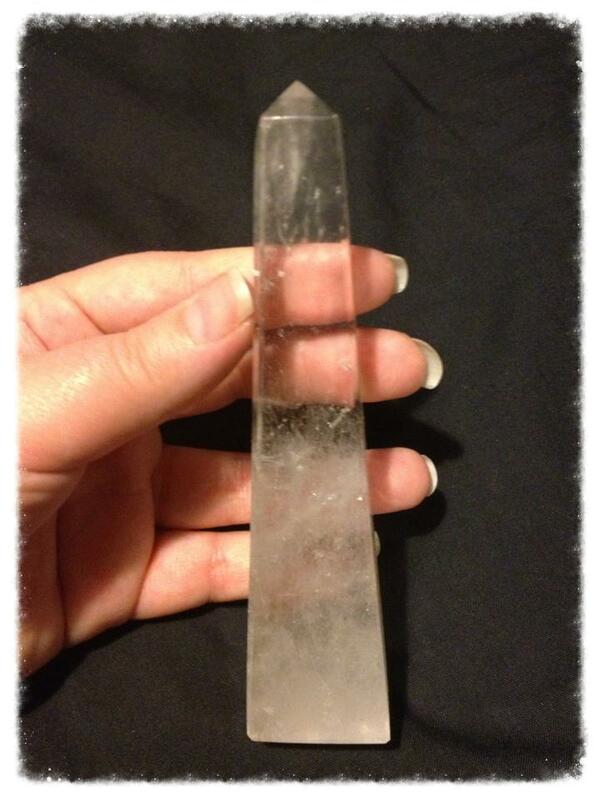 I like to make my own crystal cleanser which I put into a spray bottle and then spray over my crystal jewelry, caves, slabs, balls, and other shaped crystals due to convenience. This same cleanser can be added to a bowl or tub of purified water which you can wash your crystals in. Place crystal in bottom of spray bottle. Crush rock salt into fine powder and pour into spray bottle. Pour orange blossom water and clove oil into spray bottle and shake vigorously. Add Rose petals and refrigerate until needed (refrigeration isn’t needed if rose petals are not added). *= Do not place amethyst, lavender quartz, rose quartz, smokey quartz, ametrine, beryl, fluorite, danburite, citrine, aquamarine, celestite and kunzite in direct sunlight as it fades. ** = Do not use on soft porous crystals such as: malachite, selenite, angelite, howlite, aragonite, azurite, dolomite, as it will deteriorate the crystals. Lughnasadh celebrated in the Southern Hemisphere on 1st or 2nd February is also known as the first harvest due to the land’s plentiful bounty during this time. 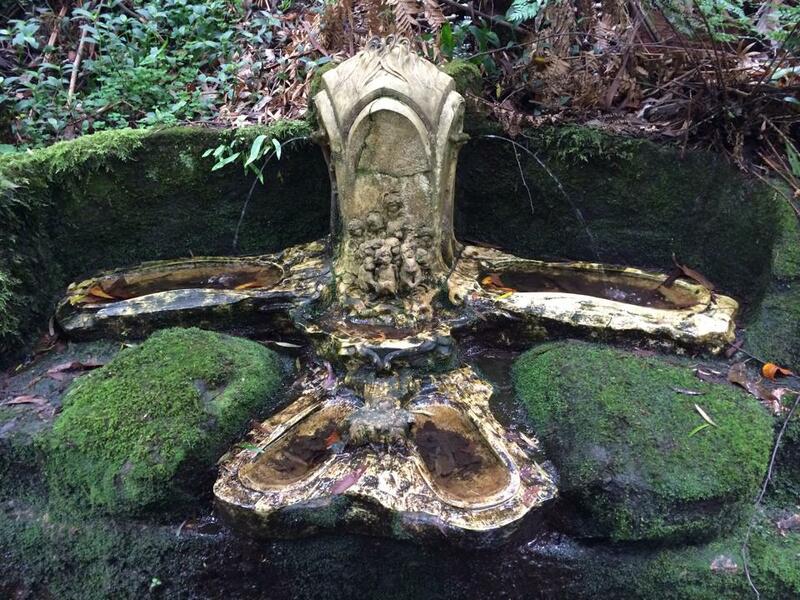 For me Lugh is a time to make offerings for what is profusely available, as well as pour a libation in honour of the gods of this season, who give of themselves to allow the land to prosper with fertility and abundance. The first time I recall participating in a harvest festival, I was a young child visiting relatives in a small remote farming village on an island in Greece (Kontopouli, Lemos). The main staple is wheat and after the first harvest had been collected all the residents of the village would gather with bundles of chaffless wheat stalks at crossroads and in central meeting points around the village. There, they would create bonfires in a succession of three in a row where young and old would jump them in order to bring fertility, luck and prosperity into their lives for the rest of the year. After this, feasting and drinking would occur at the local taverns or in people’s homes which would always consist of what was amply available such as wine, bread, vegetables and fruit. The connection between the first harvest and food was set up for me from a very early age and continues to this day. For me the first harvest is a time of much working due to my garden being abundant with life. I personally like to preserve olives, plums, apples, lemons but there is a plethora of fruits and vegetables just perfect for pickling, canning and preserving to enjoy during the dark months where the warming energies of the summer produce is appreciated. It’s also a time to gather certain herbs and flowers which richly grow and resonate with the vibrations of summer for use not only in cooking but in crafting items like charms. Whatever you decide to create, you use what it’s in season, ensuring you infuse the energies of Lugh consisting of, prosperity, protection, purification, positive transformation, pure generosity and productive success within your food. 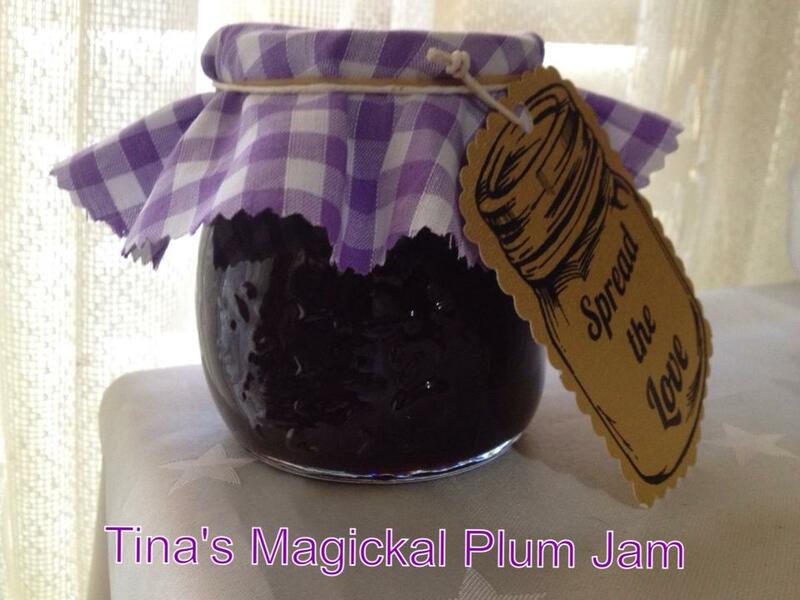 Friends and family absolutely adore the magickal plum jam I make around this time which has the sweetness of strawberry jam and the tartness of marmalade combined and to me it really connects me with the season. The magickal qualities of plum are those of love and devotion as well as causing the body and mind to relax according to the Greeks and Ancient Egyptians. Plums are also a fruit which symbolise fertility and can be seen to have a protective element. I stir into it positive thought. Put a small plate in fridge to test for setting point later. Cut plums in half, remove stones and any impurities on skin. 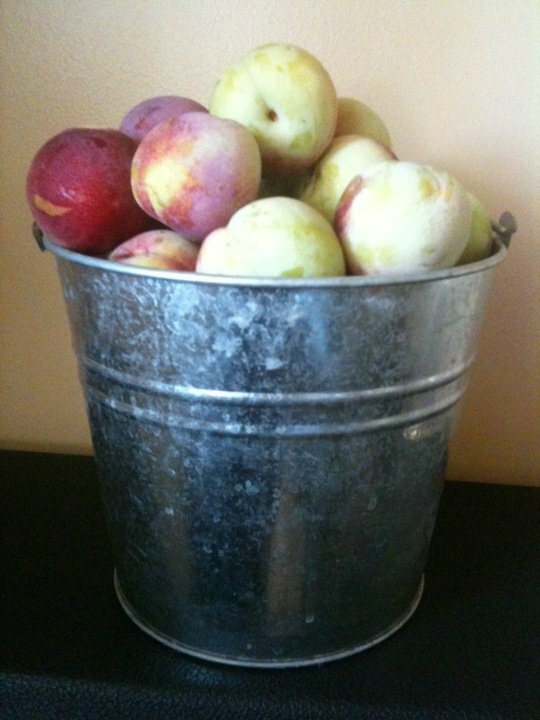 In a large pot place plums with 1 litre of water and cover with a lid. Bring slowly to the boil on a medium heat, ensuring you stir every so often so the plums don’t stick to the bottom of the pot. Once the mixture comes to the boil, reduce the heat and simmer with lid off for an hour or until the plums are soft and breaking apart. Add sugar and lemon and stir until sugar has dissolved. Bring to the boil on medium heat continuously stirring then reduce to a simmer. Remove any skum from the surface and continue to simmer until the jam falls through a tilted spoon in thick sheets without watery dripping. Once the above occurs, test for setting point by putting a little bit of jam on the cold plate in the fridge for a minute, the setting point has been reached when a skin forms on the surface and it wrinkles when pushed. When ready place into warm clean jars and seal. Label the jar with date and ingredients. 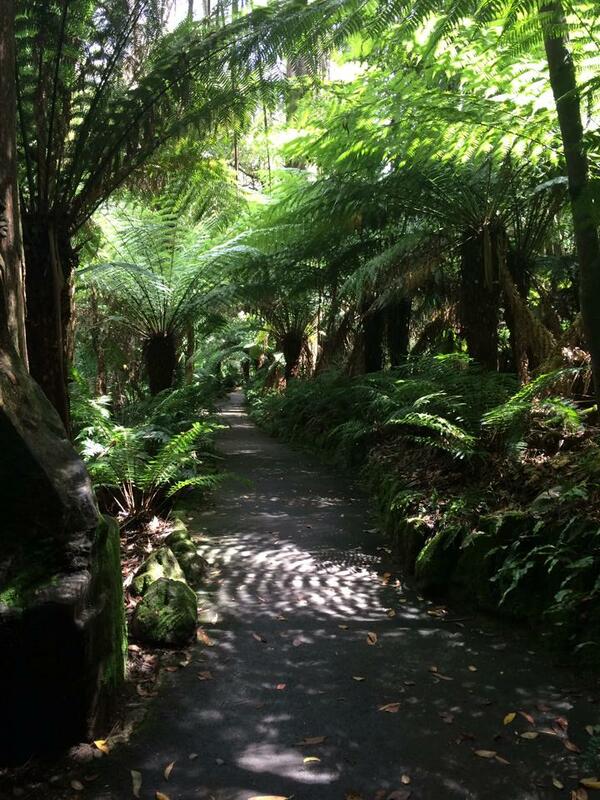 I love nature and one of my favourite things to do, is go up to the Dandenong Mountains and explore the national parks. 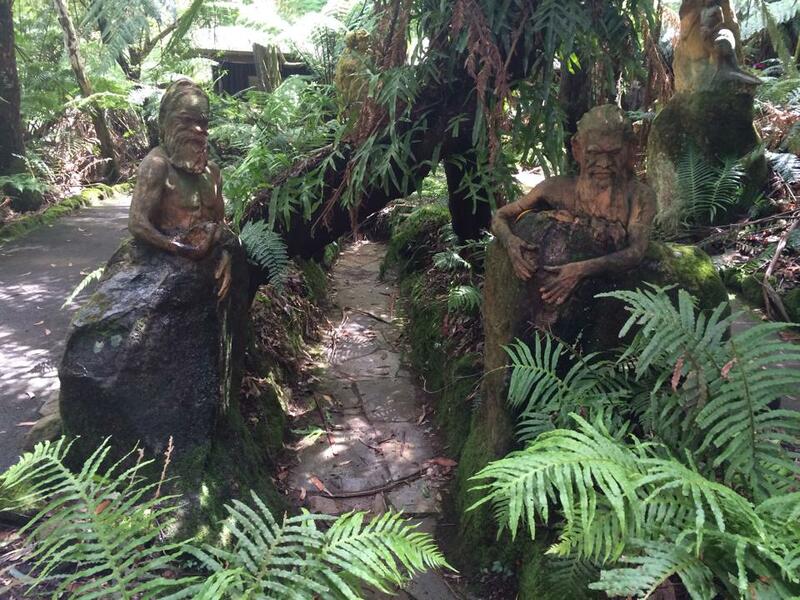 A few weeks ago I visited William Rickets Sanctuary which contains many mystical sculptures, immersed in the natural forest. 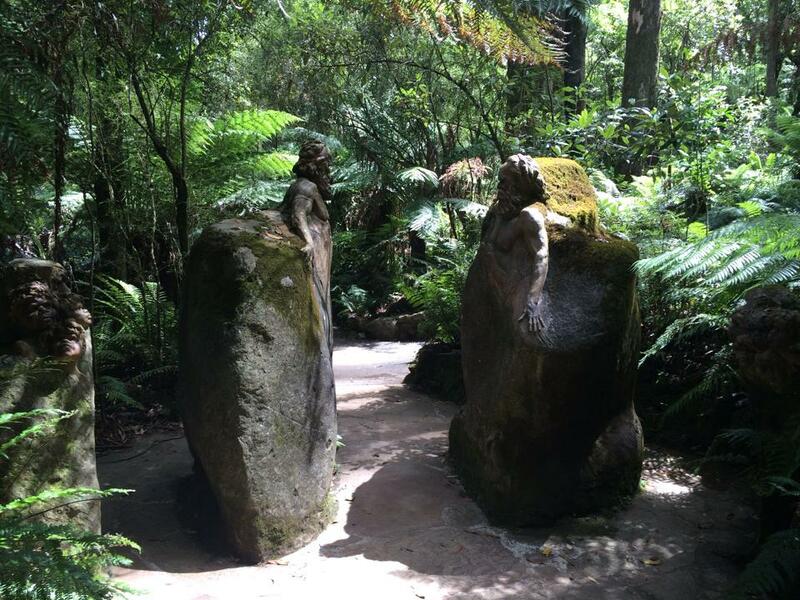 William Rickets Sanctuary is part of Parks Victoria which acknowledges the original traditional Aboriginal owners. 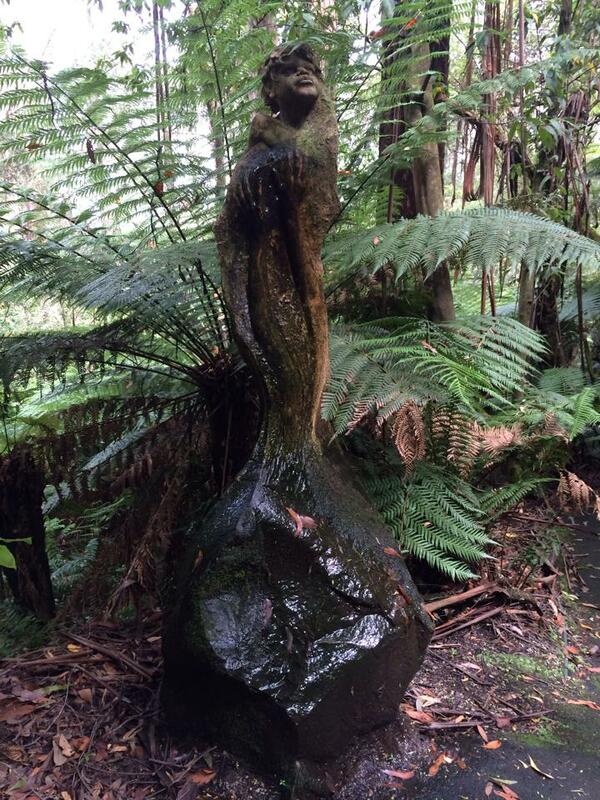 William Ricketts was an untrained Australian potter and sculptor who devoted a large part of his life creating Aboriginal centric sculptures to blend in with the natural landscape he placed them in, whilst sending the message to respect nature. He sepent 11 years traveling to Central Australia to be with the Pitjantjatjara and Arrernte people who vastly inspired his work. In the 70’s he spent a few years in India where he developed a love and empathy of their spirituality and philosophies which can be seen in his work. 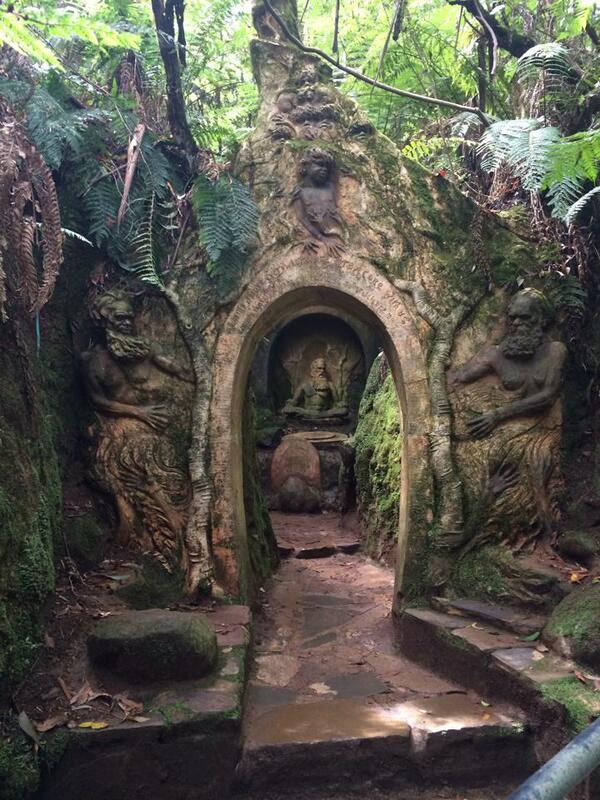 In 1934 William purchased the land now known as William Ricketts Sanctuary and named it Potters Sanctuary. 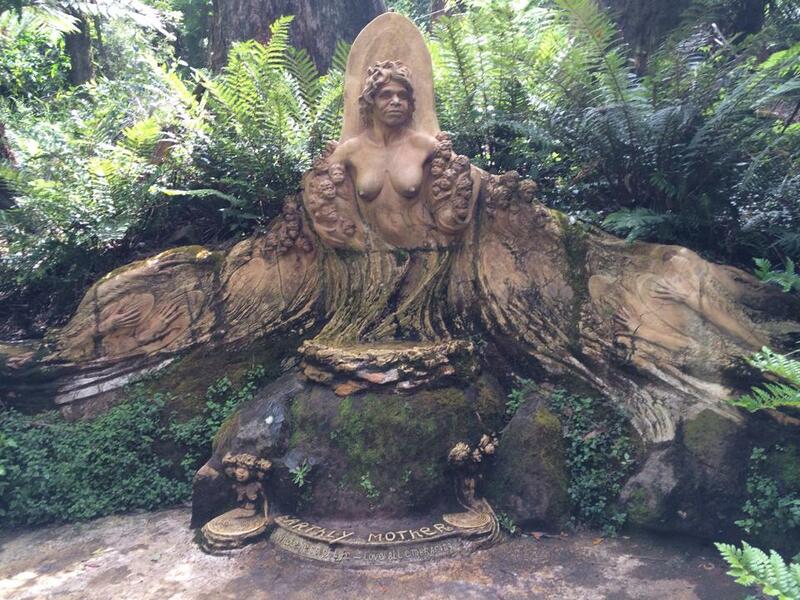 He worked on various sculptures and works in this sanctuary until 1993. 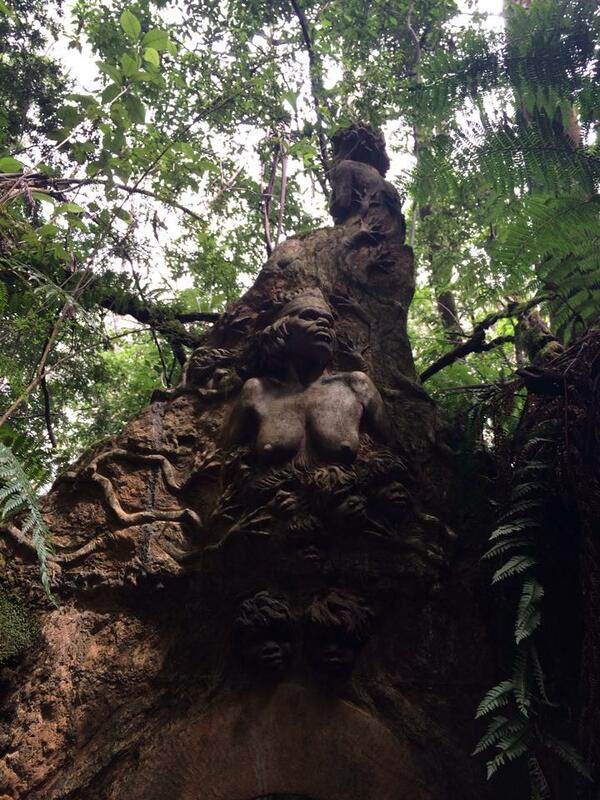 In the 1960’s the Victorian Government bought the land from him and turned it into a national park and renamed it William Ricketts Sanctuary. William remained its primary resident and continued his work until his passing in 1993. 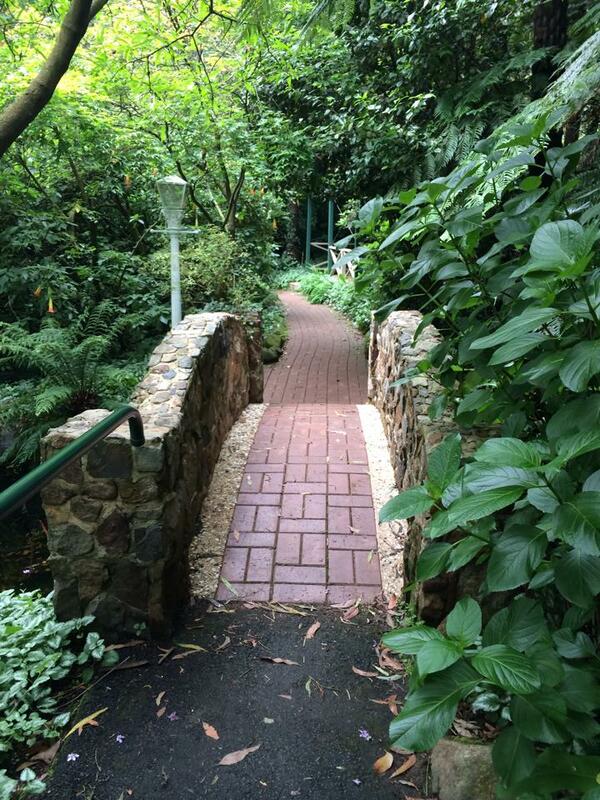 I found the place full of calm contemplation and it was very serene (even though the Dandenong main tourist road is just below it). The few tourists who were there at the time were very respectful and it was easy to navigate around the various paths and view the artwork. 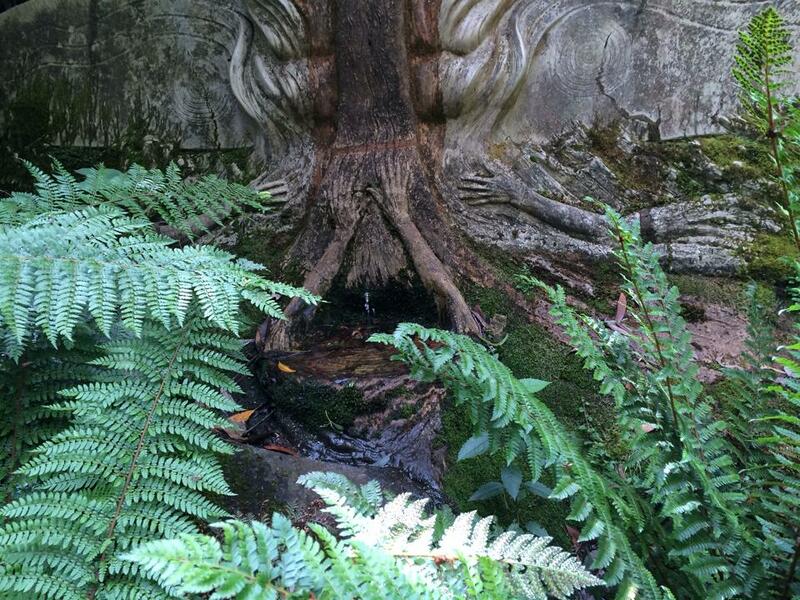 The whole place vibrated with a rich earthy power which refreshed and centered me. 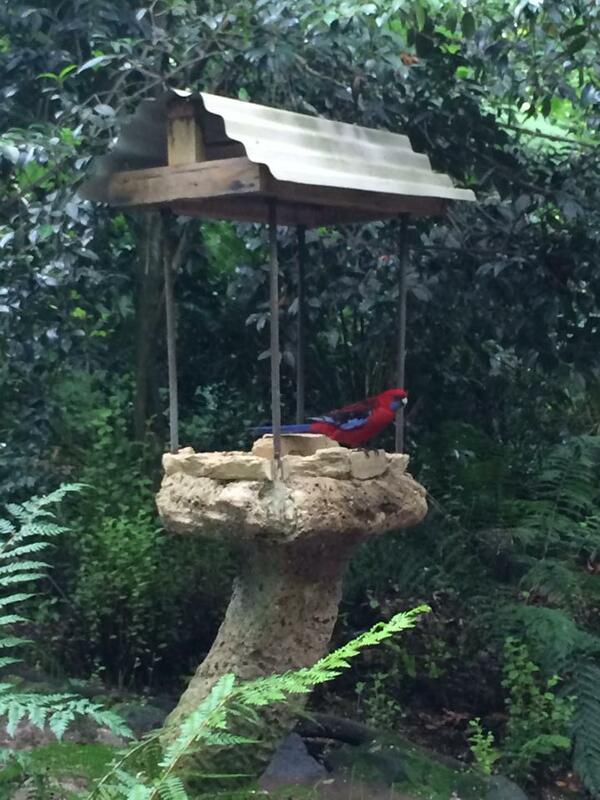 I felt many devic energies around and as though I was in another plane of existence. 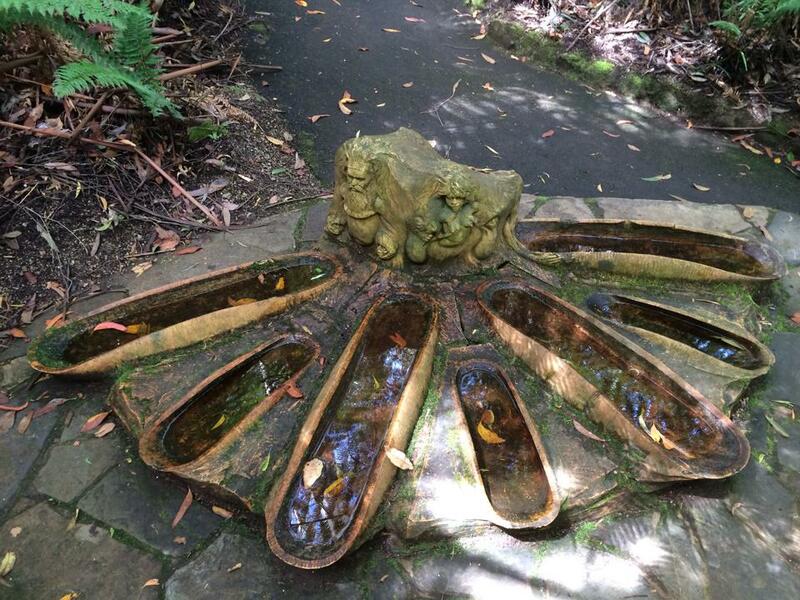 I especially loved how the sculptures take into consideration the natural surroundings and provide various watering holes for the native animals and birds who live there. William Ricketts was an amazing artist who had a deep spiritual core which resonated in his work. I am thankful that his legacy and message to respect nature and indigenous cultures lives on through his work. Black Salt also known as Witches Salt and Drive Away Salt. *Black salt is primarily used in hoodoo and rootwork but has been adapted by witches and pagans alike. 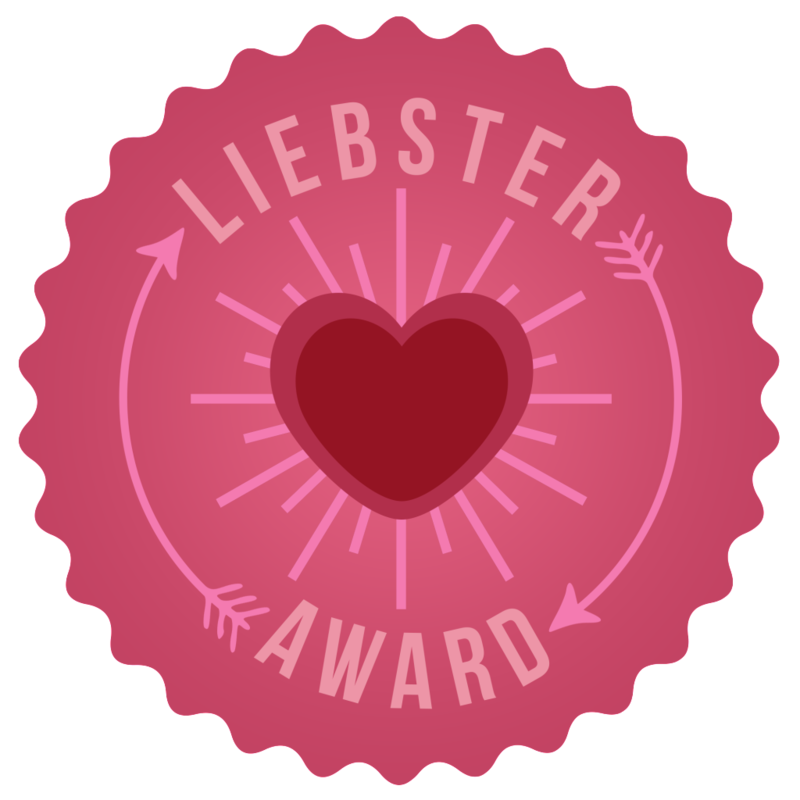 Its purpose is to clear, banish and repel any negativity or manipulation and provide protection to the user. It is generally used in banishing, hexes and protection workings. Black salt is basically salt, mixed with something which turns the salt black and can come in various forms including: black food colouring (use powdered form), black pepper, ash, charcoal, scrapings from the bottom of a pot, black chalk, candle or lamp wick residue. The standard black salt recipe is 2 parts of salt to every 1 part of black item. Grind up all parts in a mortar and pestle and use or store for later. Personally speaking I prefer to use rock salt which is kosher along with the ash of some sacred herbs (herbs depend on the purpose of the black salt created). 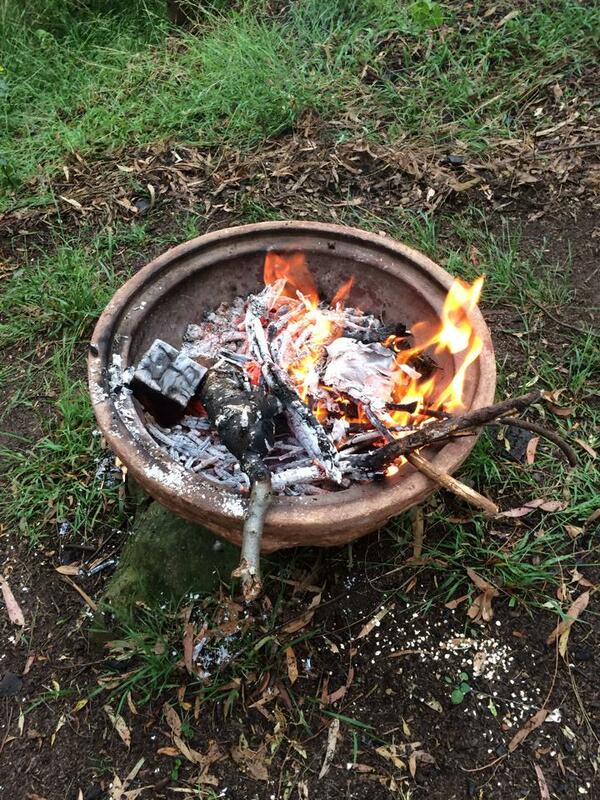 In a heat proof dish and preferably outside take some dried dandelion root, lavender, mint, mugwort and rue herbs and burn with a lighter** until they are reduced to ash. Whilst doing this visualise what kind of things you want to remove or banish out of your life. Take the ash and in a mortar, crush and blend it with a pestle with half the amount of salt to your ash ratio. Once blended use or store for later. Sprinkle around the perimeter of your home. With a long handled broom sweep the perimeter containing the traces of black salt outwards and away from your home. *Not to be confused with the Indian spice black salt which is pink in colour. 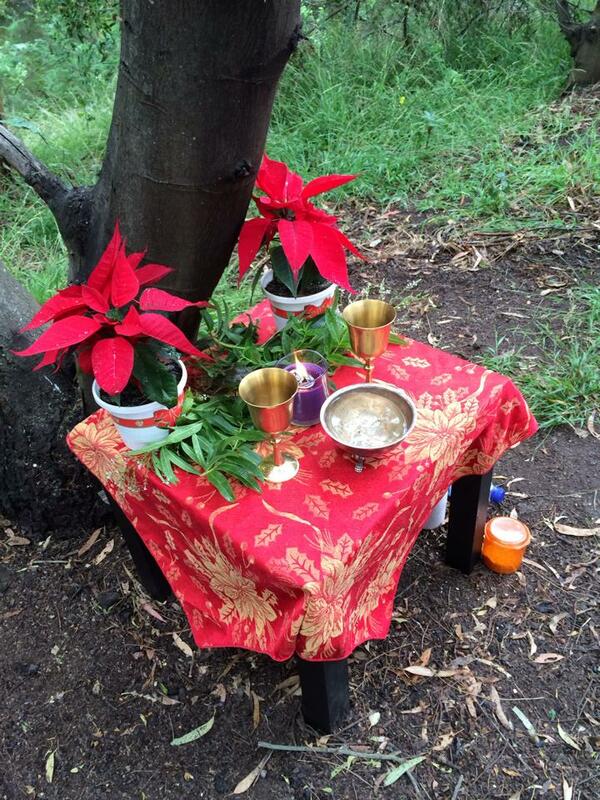 Last month I attended the Australian ADF’s local Summer Solstice celebration run by the Silver Birch Grove (https://www.adf.org/core/index.html). It was my second druidic ritual run by Shazbeth and her grove and I was yet again impressed and inspired. The connections I make during the rites have refreshed my love of the land, earth magick and the attendees are warm and genuinely nice people. Whilst I appreciate and respect this path which isn’t my own, it’s nevertheless filled with a majestic reverence which manifests as beautiful magick – externally and internally. It’s also wonderful to attend a free public ritual (where I am not hosting it) where the facilitators are extremely organised, timely, informative, caring and show a genuine love, duty of care and devotion to the tradition and attendees. The day was a muggy yet wet one. We gathered in the cleared circle beneath the natural canopy of native trees which protected us from the rain. All fell silent and the rain ceased as Shaz commenced the ritual. Shaz had written it and once more I was inspired by the exquisite use of words and gestures of it along with the other main Druids participation and enactments (Ang and Callum). I felt the pulsing magick come up through the earth as well as flow down upon me from the sky as the rite progressed. Once more I could sense my ancestors watching a short distance away as well as Hekate just outside the boundary in the NW. The rite itself consisted of praise to the Kindreds, Ancestors, Spirits of Place and of course Deity (Manannan mac Lir, Brighid, Dagda). 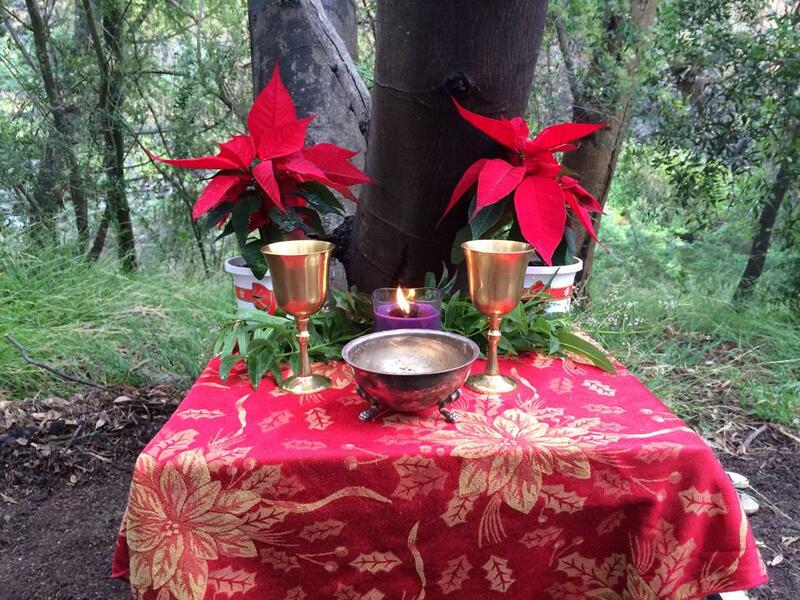 The ritual included establishing and closing the sacred grove, offerings upon the altar, fire/hearth and earth, songs sung, hymns recited, the gates between the worlds opened and closed, meditations and divinations completed and the partaking of libations. I had made a soy lavender candle I had brought as an offering and Shaz placed it in the centre of the alar and it was lit during the ritual. I absolutely adored that during the rite the poem “My Country” by Dorothy Mackellar was read out and this resonated with me very strongly. I feel it was a great tribute to Australia and the land we live in during the ritual as its often forgotten about when most of our paths are of a northern origin. Also something I noted which I found amusing was as soon as ritual had ended it started to rain, yet it had stayed away whilst the rest of the time. 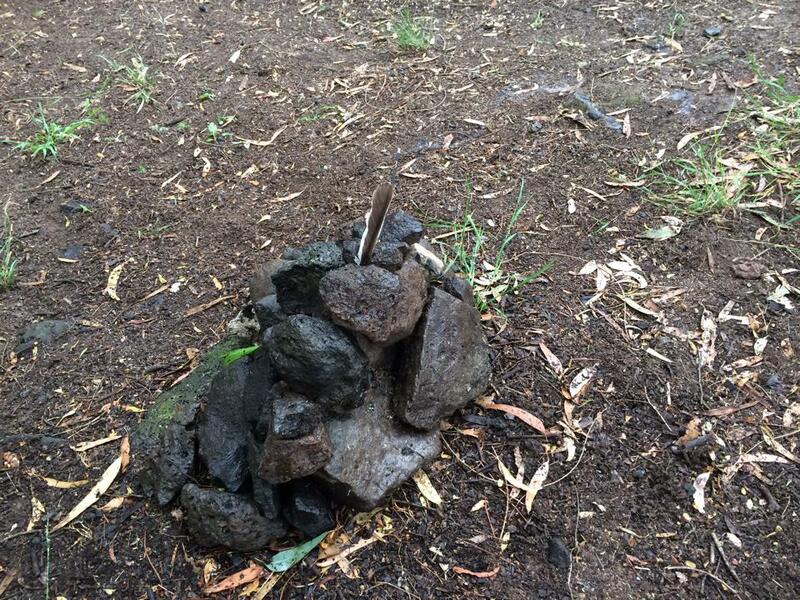 That just emphasizes once again how magickal working with spirit outdoors with the land is and how magick does work. The way the ritual is run, is that we have feasting afterwards. This time we brought some ham and bread rolls with several dips and some choc biscuits. Everyone shares and it’s so lovely to be able to sit and have a picnic underneath the shade of wattle and gum trees, whilst listening to the rustle of the stream and native wildlife surrounding you. Thank you Silver Birch Grove! 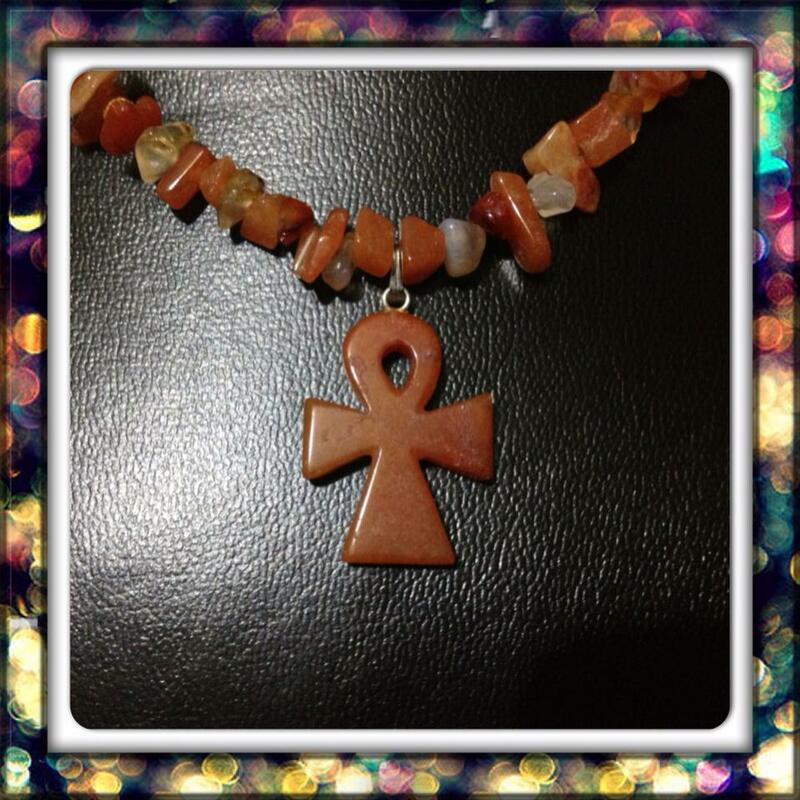 Ankh: Used as a “Key of Life” to access the infinite realm of wisdom and also used for dowsing, creativity, long life and fertility of body and mind. Cartouche: Used as a protection amulet and talisman and used to provide a link between earth and other planes. Obelisk: Used to stimulate the marking of time and promote the connection with AE culture. 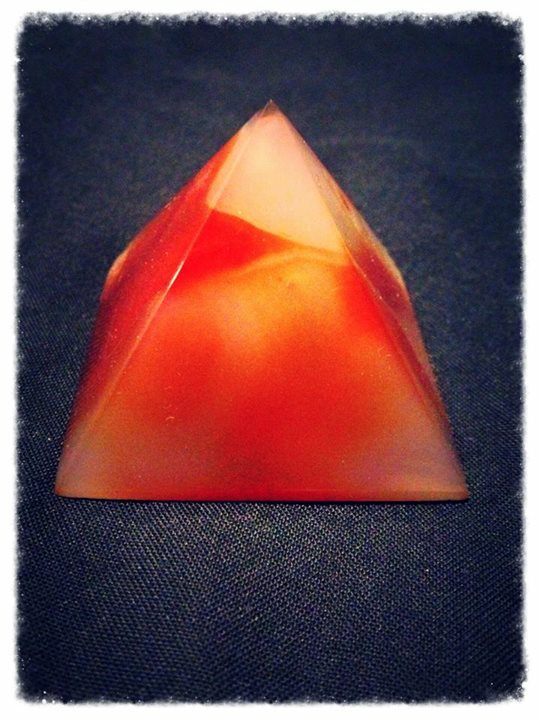 Pyramid: Used to amplify energy of the crystal itself and are used to charge and preserve objects. Natural occurring pyramids amplify and channel the energy through the apex and can be used to manifest things after they are programmed successfully. 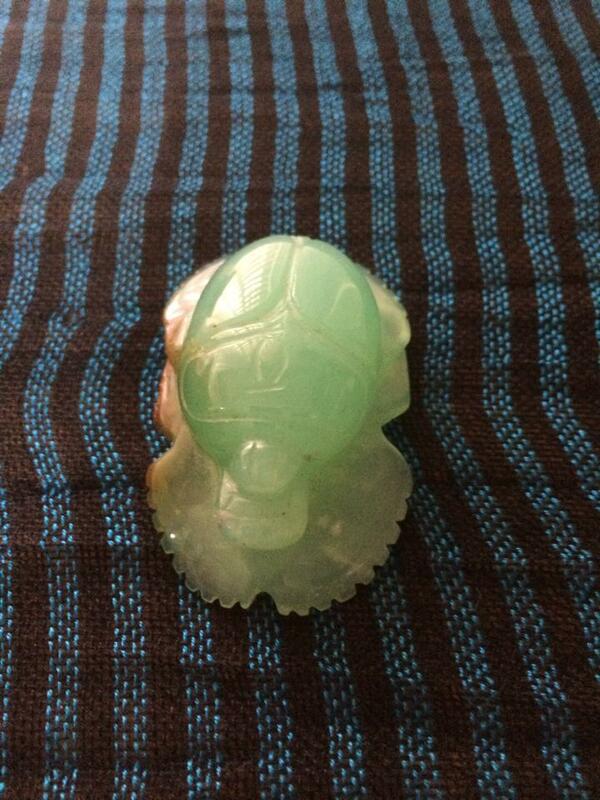 Scarab: Used as a symbol of protection, stamina, endurance and abundance. Hekate is a Chthonic Greek Goddess who preceded the Olympian gods and was also a titaness. Daughter of Perses and the Star Goddess Ateria and Granddaughter of Phoebe, Titanus of the Moon. Hekate aided Zeus in the battle of the titans and therefore was not expelled like the other titans were when Zeus formed the Olympian pantheon. Hekate also played a part in Persephone’s story in which she helped Demeter, Persephone’s mother in finding her after Persephone went into Hades (wether by force or by her own volition) and thereafter became Persephone’s guide when the later, travelled to the underworld for her yearly journey. 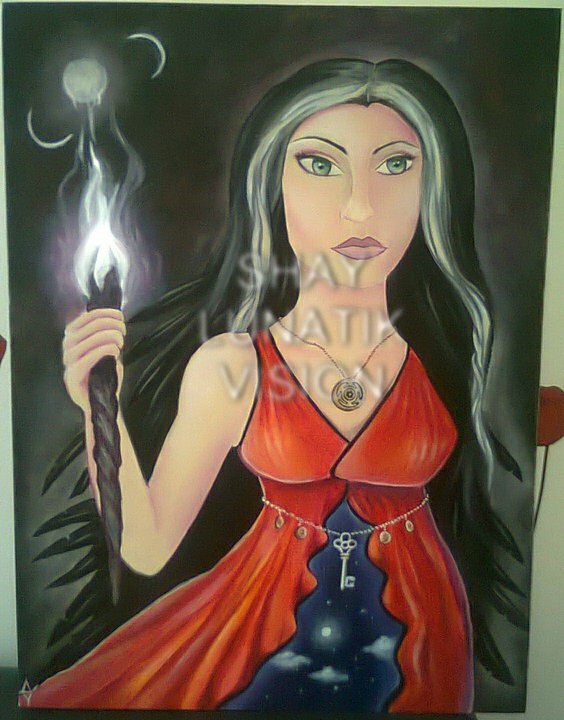 Hekate’s name means “she operates from afar”, “she removes or drives off” “the far reaching one” or “the far-darter”. She is shown as an ageless goddess who in later times was sometimes depicted with three human faces or three animal faces. These faces consisted either of a dog, snake, horse, cow or boar, all which faced different directions and refers to Hekate’s triple nature and the realms she has dominion over – the sky, sea and earth. Hekate is also sometimes depicted with dogs at her side whilst at other times shown alongside other gods (like Hermes and Kybele) or children. Hekate having dominion over the sky, sea and earth is also known as the Goddess of the crossroads, liminal places, witchcraft, magick, herbology, necromancy, cosmic world soul, mistress of animals, aider to women in childbirth, mistress of the dead and guide of ghosts. She is patron of sorcerers and witches and in ancient times was prayed to by athletes solders, fishermen, farmers and merchants alike for favour in their various endeavours as well as being a common goddess venerated in household shrines. 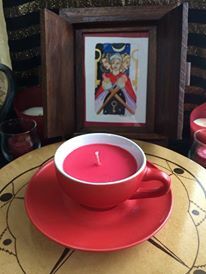 Shrines to Hekate were placed at doorways and crossroads where offerings were made on her sacred day Deipnon (Dark Moon) which was the last day of the month in the Athenian calendar and again on the Noumenia (New Moon) on the first day of the next month. Hekate’s main site of worship was in Lagina (modern Turkey) but she had shrines scattered throughout ancient Anatolia and Greece. Hekate’s symbols include keys, torches, the moon, snakes, dagers and is a goddess who bestows her blessings in the form of protection, prosperity, prophesy, proficiency in communing with the dead and the performance of magick. Sacred offerings to her include: milk oak, yew, honey, garlic, cypress, aconite, belladonna, dittany, mandrake, and pomegranates. *chopsticks, clothes pegs, icy pole sticks or wick holder bar. 1. First step is to find any heat resistant containers you would like to use to house the candles and ensure they are clean and dry. You can use anything from re-purposed jam jars to tea cups. 2. With double sided sticky tape/sticky dots, stick the wick tabs to the center of the inside of the container. 3. Place the pre-prepared containers on some baking paper or newspaper to ensure cleanup is easy. You might spill and you don’t want to be cleaning up wax off your surfaces. 4. Weigh your soy chips out and place them in the smaller saucepan and attach the thermometer. I like to make 1 (one) kilo batches at a time. 5. Fill the larger saucepan with water (about half way) and then put the smaller saucepan on top so it sits within the water. You can use a fork or a spoon to stop the smaller saucepan from touching the bottom of the bigger saucepan. DO NOT put the smaller saucepan containing the soy chips on a direct flame as this will cause a spill over or fire! 6. Now slowly melt the soy chips on a medium flame until it reaches the pouring point of 80-90 degrees celsius when using fragrance and 70 degrees celsius when using essential oil. Mix with a long wooden spoon every so often and ensure you keep the heat at medium. DO NOT try to rush this process by increasing heat to high as this will cause a the wax to spit, bubble over and catch on fire! 7. When the temperature reaches the pouring point add 50 mils of container maker. Adding container maker stops the soy from streaking, cracking or frosting within the container. 8. Add the essential oil (6-8 mils per kilo of wax) or fragrance (50 mils per kilo of wax) and stir with the wooden spoon thoroughly. 9. Add the candle colour and stir thoroughly ensuring the colour is completely blended in with the wax (I like to use colour blocks but you can use food colouring or candle dyes. Only one colour block is needed for each kilo of soy which gets you a nice vibrant colour of your choice. 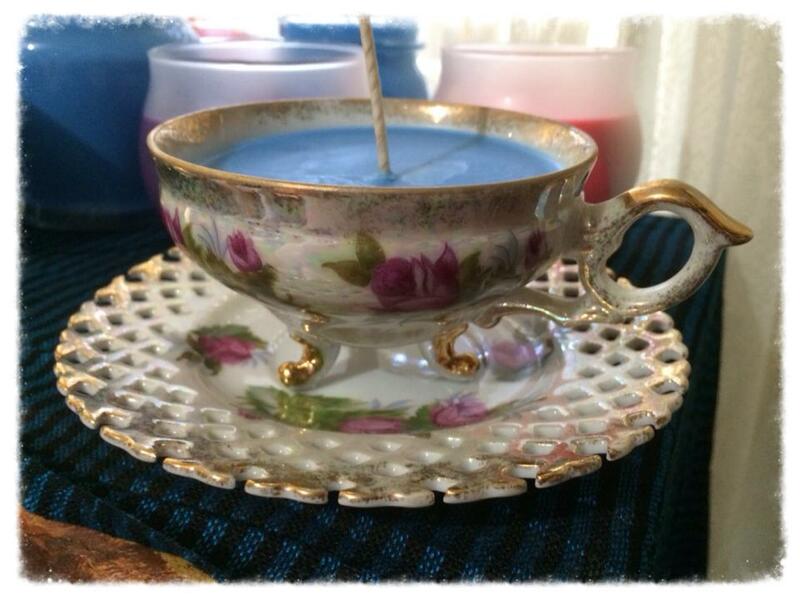 Please note that using less will make the colour more pastel in shade which is more common for soy candles.). 10. 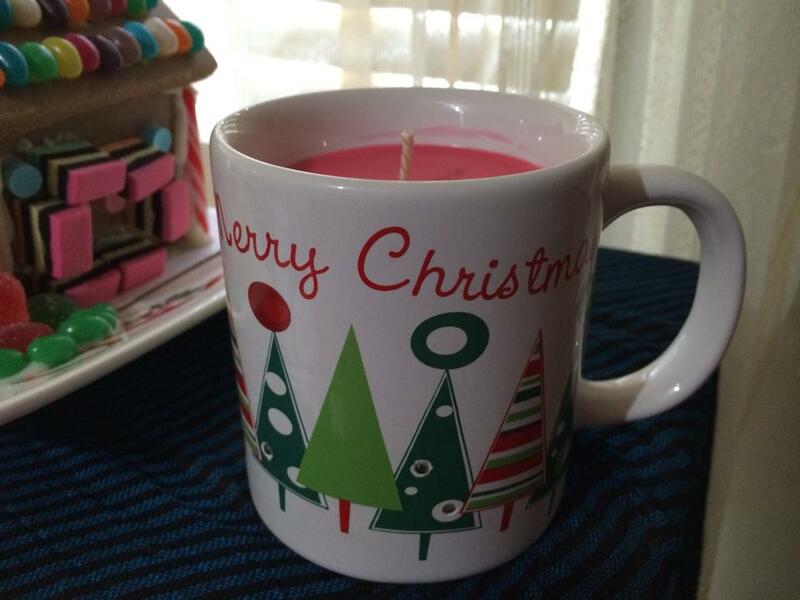 Turn off the heat and let the soy wax cool down to a pouring temperature of 60 degrees celsius. 11. When the pouring temperature is achieved, pour into containers ensuring you leave 1 – 2 centimeters of space on the top of the containers. 12. Place the wick holder bar (or alternatively your chopsticks, clothes pegs, icy pole sticks) over your container to ensure the wick stays centered. 13. Let candles go cold and hard before moving. For best results, curing (letting them sit and dry) for 48 hours gets the best results. 14. Trim your wick to just 1 centimeter above the wax line and use.